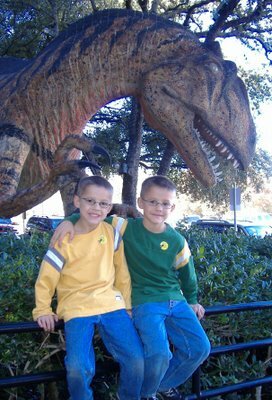 Over the holiday I took my nephews to the Science Museum in Fort Worth. Aren't they cute? And surprisingly brave to pose in front of this very patient dinosaur? 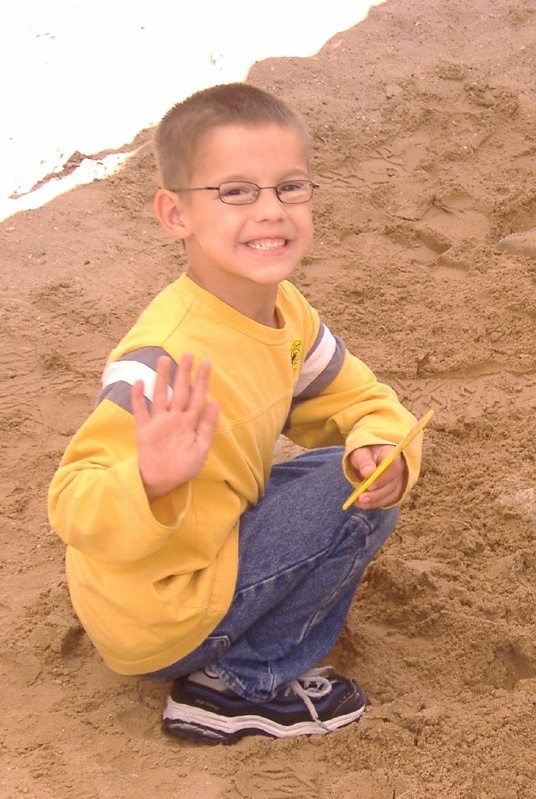 Matthew loved digging for dinosaur bones in the designated sand pit out front. He kept screaming, "Aunt Nicole, I found something!" Every time I would walk over and inspect the rock he was holding and reassure him that, yes, I think he may have been a part of uncovering a very important artifact. The museum is very gracious to allow 7-year-olds to host their own archaeological digs of sorts out front. I'll bet they don't even notice that kids everywhere are taking home pocketfuls of rocks they are convinced belonged to an ancient dinosaur. If you are in Fort Worth and want to check it out, you too can take home your very own piece of dinosaur bone - or rocks. Whichever ones you are lucky enough to find. But I wanted to wish you a wonderfur Christmas!!!!! I´m so glad reading about your happy family, your friends, your job!!!! congratulations Nicole!!! well, take care... and Merry Xmas!! !